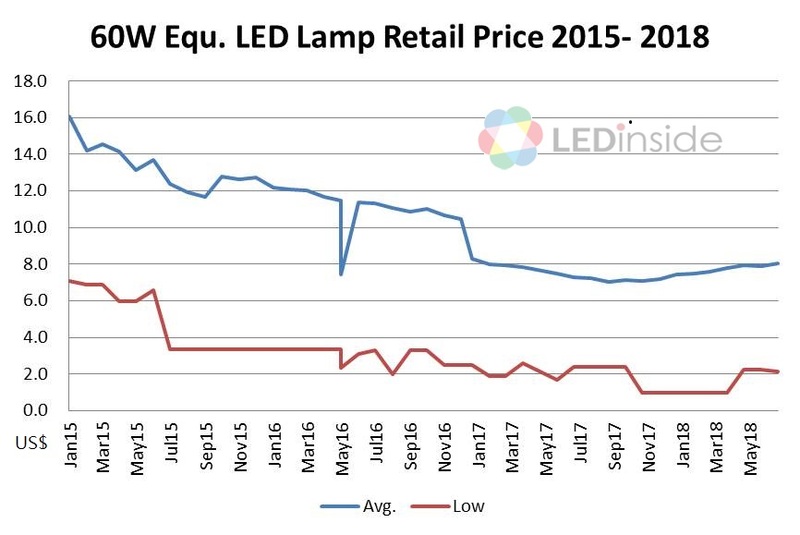 The falling price of LED general lighting products has led to lower profits for LED lighting manufacturers. The trade war and imposed tariffs on LED products have also affected the industry. Worldwide LED producers have taken different measures in response to the impacts. Lextar, the vertical LED integration manufacturer, has planned to largely cut down its business share of luminaires since 4Q17. The strategy of the company was to deliver the lighting products ordered as soon as possible in the first quarter of 2018. By the end of 2018, the lighting business will account for about 20 percent of its total revenue with only niche lighting products. LED lighting business is not a profitable segment for Taiwanese LED packaging company Everlight either. The company has revealed the deficit for its lighting segment in 2015 and 2016 and said that it will reduce its capacities for lighting to around 10 percent. Another LED packaging company, Unity Opto, also reported loss with its LED lighting business and noted that it has adjusted its strategy to diminish the shipment of LED bulbs and develop niche products. As for lighting brands, GE has begun its restructure plan since the end of 2017 and announced to complete the sale its lighting business by the end of 2018. Currently the company has closed its lighting business in Europe, the Middle East, Africa and Turkey. Its global automotive lighting business is also closed. By selling its lamp business unit LEDVANCE to MLS in 2017, Osram has reinforced its positioning as a high-tech company and announced to sell its luminaires business, which might start being processed soon. Cree has also shuffled its business center out of lighting. The business share of its lighting products has been reduced and so has the profits of the segment. The most competitive players in the LED lighting industry have been Chinese LED producers. However, currently they are also facing the issues of falling average selling price (ASP) and most critically, the tariffs imposed by the U.S. government. MLS, the leading Chinese LED packaging company, has continued to report growth with its lighting business after its acquirement of LEDVANCE in 2017. But the rate of revenue increase did not follow up with its expansion. The company might thus slow down its expanding plan. Moreover, though it was said that MLS might be one of the companies to bid the lighting business of GE, the current relationship between the U.S. and China is too tense to carry out such acquisition plan for Chinese firms. For the market of general lighting, China made products might still be competitive as it is not likely to move the supply chain of LED lighting products out of China. The tariffs imposed on LED components and lighting products might end up increasing the price of the end products which will be paid by the consumers in the U.S. In addition, the trade war has also caused drastic currency fluctuation in many countries in the emerging market. Russia, Turkey and some countries in Central and South America have encountered severe currency changes. Facing the pressure of increasing cost due to the imposed tariffs and inflation, LED lighting producers have taken actions including adjusting the prices of the products. Current by GE and LEDVANCE have already reported price increase on their products due to the imposed tariffs and inflation. Current by GE announced a 6 percent price increase on selected LED product families, “due to significant inflationary pressure on commodities, transportation, metals and electrical components,” according to GE. LEDVANCE also lifted the price of its products due to inflationary pressure and the Tariff Phase 1 which came into effect on July 6. 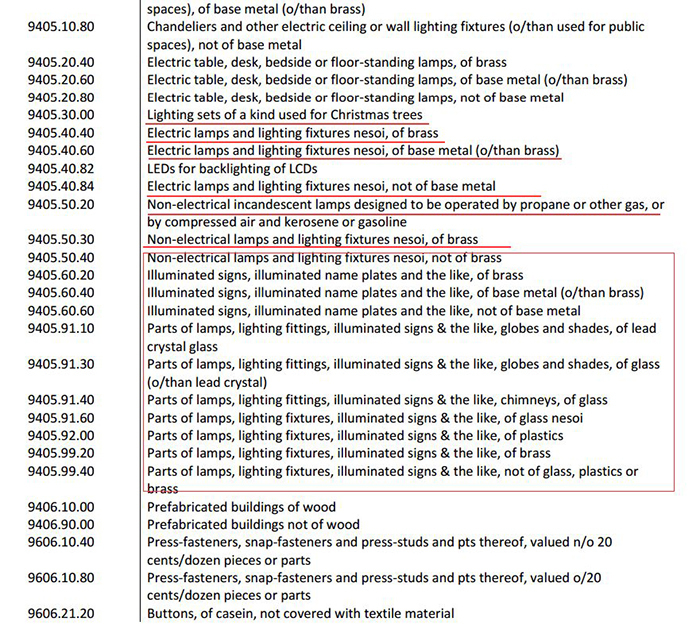 To conclude, the trade war has led to extra cost for LED lighting producers and impacted on international currencies. In response to the stress from these factors, lighting brands have raised the prices of their end products. LEDinside expects that the tariffs will eventually go to the consumers and the rising price of LED lighting products may lower the demands of the end market.